African wild dogs live in widely distributed, fragmented populations throughout the grasslands, savannas and open woodlands of Africa. There is an intricate social structure within African wild dog packs. 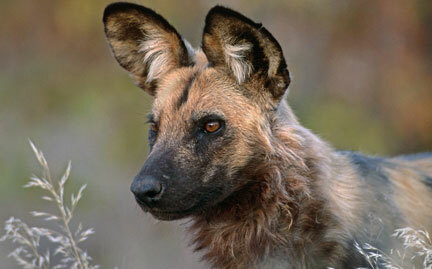 Wild dogs take care of one another, and food is shared with individuals that did not participate in the hunt. Currently, these predators face increasing threats posed by habitat loss and diseases from non-native species.